The razor eyed observer can espy under the index finger, the leather which holds the whole gauntlet together. 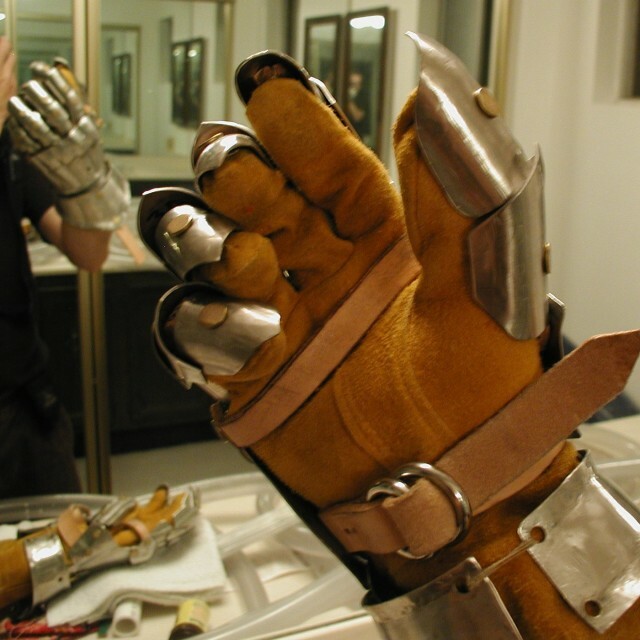 These strips were riveted to the plates, and then sewn to the gloves. The aforementioned observer may also note that the leather seems too thick. Next time, I'll use something a bit more flexible, and less cramp inducing.